The IVVA have noted a new global initiative aimed at doctors, health professionals and scientists, called M.O.V.E. The dangers of electronic cigarettes are considerably lower than those of tobacco. From analysis of the constituents of e-cigarette vapour, e-cigarettes can be expected to be at least 95 to 99% safer than smoking tobacco cigarettes in terms of long-term health risks. The vapour exhaled from e-cigarette users is highly unlikely to be harmful to bystanders; nicotine concentrations in exhaled vapour are too low to have pharmacological effects on bystanders. Randomised controlled trials show that e-cigarettes are effective in smoking cessation and studies of the use of e-cigarettes in real world settings show that they are more effective than other means for stopping smoking including Nicotine Replacement Therapy. It is estimated that for every one million people who switch from smoking to electronic cigarettes, some 6000 premature deaths a year would be averted. E-cigarettes do not ‘renormalise smoking’ – ‘vaping’ is not smoking. In many countries the rise in e-cigarette use has been accompanied by a continued decline in tobacco sales and prevalence of smoking. 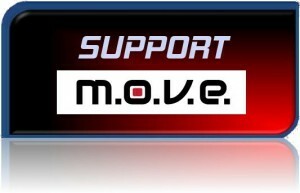 Can you tell us how the idea for MOVE came about and who are the organisers? The MOVE project emerged, like many other initiatives, as a distress signal from the EFVI Spain Platform, to deal with the constant attacks that eCigs have suffered in Spain. There has been an unprecedented misinformation campaign, orchestrated by major medical organizations funded by the pharmaceutical industry in the country; as a result, 95% of the Spanish electronic cigarette industry has been closed. In our country, the medical-pharmaceutical sector has virtually unlimited powers and it has even gone so far as imposing sanctions on doctors who support electronic cigarettes as an alternative to smoking. However we knew that, from the shadows, many doctors, scientists and healthcare workers were supporting us. We realized that most real doctors and GPs, who really are in direct contact with patients, did not have the right knowledge about real progress in eCig science and its potential to save lives. Moreover, they were being bombarded daily with completely wrong information about this product. We had to provide them with quality information. So we decided to perform an initiative based on the original idea of Dr. Philip Presles in France but extending it internationally. What are your aims with the MOVE initiative? Our main goal is to obtain and monitorize the global support of health professional community for electronic cigarettes; this way, we hope that the worldwide media, for the first time, releases real information about the electronic cigarette conflict. Having 100 health professional supporters is significant, but having 1000 or 5000 would be an exceptional and unprecedented event. This fact could change the worldwide public opinion that has been systematically manipulated until now and will show that there is a scientifically based way to stop smoking by switching to this great harm reduction tool. On the other hand, we want to create an ethical debate among the health professionals, about the importance of these devices as harm reduction tools and their potential to save lives. Nobody had asked to health professionals about their opinion on vaping. They have not been objectively informed about the electronic cigarette potential impact on society. So MOVE tries to make them look at the large number of scientific studies that have been conducted up to now and invites them to actively learn and take part in the debate and to always compare the effects of electronic cigarettes with the tobacco smoking on health. Another aim is to cause a political debate about the restrictive regulations such as the European Tobacco Products Directive. Legislators cannot continue looking the other way when a large proportion of health professionals are claiming for a fertile ground to the growth of this alternative. Would you say that it’s important that the medical and healthcare community support it? We need to find more supporters in the healthcare community, with criteria and scientific arguments, capable of defending electronic cigarettes as a tobacco harm reduction tool, and a way to save millions of lives. We already have great scientists, doctors and public health authorities supporting us, but it is our commitment to call for the help of those who, although they’re secretly supporting us, are still afraid of possible reprisals if they express their public support. They only will lose that fear if they are supported by a large number of colleagues. What could Irish doctors and healthcare professionals do to help spread awareness of electronic cigarettes as a harm reduction tool? Mainly give their support to the initiative by reading the MOVE statement, filling in the form provided on the MOVE website and, of course, sending the link to their colleagues to spread the word. As physicians they know that tobacco smoking remains the most serious public health issue in the world. By supporting MOVE and spreading accurate information about the effects of electronic cigarettes compared to tobacco smoking on health, they can help save lives. Carmen Escrig holds a PhD in Cellular Biology and Genetics and is EFVI Spain Platform Co-ordinator.